Angelica Tinelli was born in 1931 in Vandergrift, Pennsylvania, to Francesco and Margarita Tinelli. Francesco was orphaned at a young age, and he immigrated as a teenager to the United States in the early twentieth century from Noci, in Puglia, Italy. Francesco started working at US Steel in Vandergrift, and he became a boarder at the house of a fellow friend and steelworker, Angelo Mottola and his wife Mary. Being from the same Italian hometown as his landlords, Francesco offered make deliveries to their relatives in Italy on one of his frequent return trips. While in Italy, he met Margarita, Mary’s sister, and they fell in love. After a year of courting and marriage in Noci, Italy, they made the voyage to America together, settling down in Vandergrift. They had four children, Angelica being the second oldest. The Tinelli family spoke solely Italian in the household, but their particular street in Vandergrift wasn’t populated by many other Italian immigrants. Angelica’s mother was an excellent cook, always making homemade pasta and bread, and her father tended a garden in the backyard. Her father paid the grocery bill every payday and was always thinking of ways to encourage the slight appetites of his daughters. Angelica and her friends would go to the drug store for ice cream and would spend hours talking on their porches. She was a young teenager during WWII, but Angelica remembers translating her cousin’s letters from action in Normandy and Europe, respectfully leaving out some of the more difficult details; she also recalls the post-war celebration in town. Her family faced tragedy, however, with the early death of her brother Steve, at the age of 23. Angelica met Albert Kasanicky at a school dance after the Vandergrift and Leechburg basketball game. He asked her to dance, and Angelica’s friend encouraged her to take him up on the offer. The couple was official after Albert received the crucial parental approval, and Angelica’s family had no objections to her dating a non-Italian. The couple was married in 1950 at St. Gertrude’s church in Vandergrift, and they lived with Albert’s family for the first few years of marriage; a transition made easy for Angelica due to her strong affection for his family. Albert’s father, Louis, escaped the priesthood and emigrated from Czechoslovakia to New York where he worked at a meat packaging company. There, he met Katherine, a Hungarian immigrant who was working as a cook in the city. Louis and Katherine married and moved to Leechburg, Pennsylvania and started their family; Louis was a butcher in town. Albert didn’t have intention of taking up the family trade, and shortly after his marriage to Angelica, he was drafted in the Korean war, where he served as a mechanic from 1952-1954. 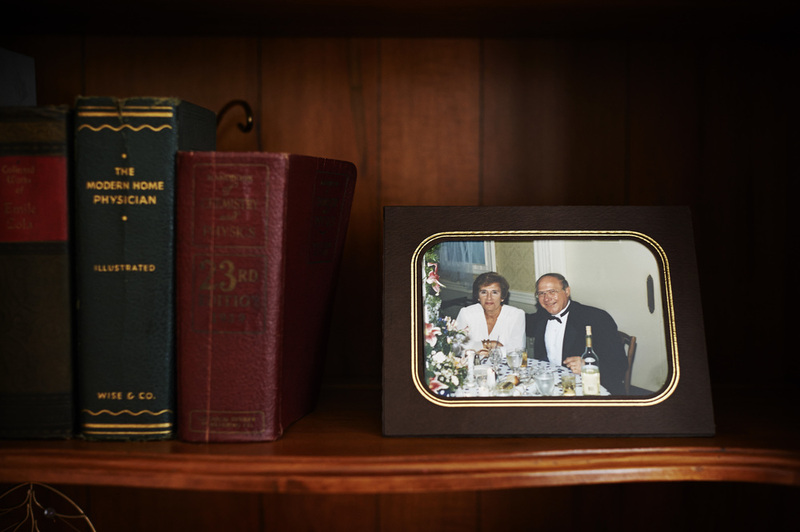 After the war, Albert received his business degree and worked in inside sales for Allegheny Ludlum for over 40 years. Angelica worked from 1957-1975 at the Philadelphia Store that sold clothing in Leechburg, and she enjoyed working with the customers over the years. In 1976, She was hired by Schenley Distillery, and her boss informed the newly hired ladies that they would have to be trained on the men’s jobs. He explained that this was mandatory due to the new “equal rights” legislation and that they had to make sure that the women were trained in the case of company inspection. As it turns out, Angelica and the women were surprised at how easy these jobs were, and they settled comfortably into the “men’s job.” She enjoyed her work “on the line” of the factory, and she retired in 1982. Albert passed away in 1996, but despite this loss, Angelica has a lot for which to be thankful. She is a woman of great faith, and she remains active with a positive spirit and quick sense of humor. She cherishes her relationship with her two sisters, and her family has always been a constant source of pride and joy.